Working for the past six years for Norwegian human nutrition group Sana Pharma in a variety of management roles, Simon brings an in-depth knowledge of the international B2B nutritional market to his new position, along with invaluable hands-on experience of brand development, sales, marketing and distribution in South East Asia. Helping to launch Sana Pharma’s Algalif astaxanthin business over the last 4 years, Simon played a leading role in establishing new distribution partners for the company in Asia, collaborating on country-specific sales and marketing plans, sales training, regulatory and R&D support. Know how which Sigve Nordrum, EVP Animal Health and Nutrition, Aker BioMarine believes will prove vital in Simon’s new position, as the company’s footprint in Asia continues to expand. Along with his experience of the nutritional industry, Simon also ran a successful UK based marketing agency, specialising in brand partnerships and has also held a number of sales and marketing roles within the telecommunications and banking sectors. In total, he has over 28 years of both client and agency side B2B and B2C experience. Hailing from the United Kingdom, Simon is a Member of the Institute of Directors & Chartered Institute of Marketing and holds a MSc Marketing from Staffordshire University. 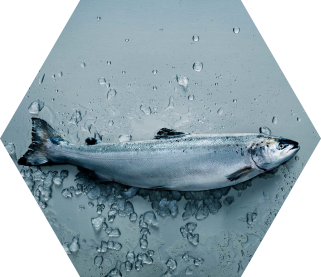 Aker BioMarine is a biotech innovator and Antarctic krill harvesting company, dedicated to improving human and planetary health. The company develops krill based ingredients for nutraceutical, aquaculture, and animal feed applications. The company’s fully transparent value chain stretches from sustainable krill harvesting in pristine Antarctic waters through its Montevideo logistics hub, Houston production plant, and all the way to customers around the world. Aker BioMarine is fully owned by Aker ASA, an industrial pioneer since its establishment in 1841. © 2017 Aker Biomarine. All rights reserved. Terms and conditions.